Have a Question for the Podcast? Have a Comment? Or just want to stay abreast of the latest and greatest Alzheimer’s and “mind altering” news by joining our mailing list? Can Alzheimer’s be prevented? Can it be reversed? There is hope! It is our feeling that the challenge of Alzheimer’s has provided humanity with an opportunity to upgrade its collective consciousness. Listen to the show and explore the website or interact with us on Facebook to learn how. 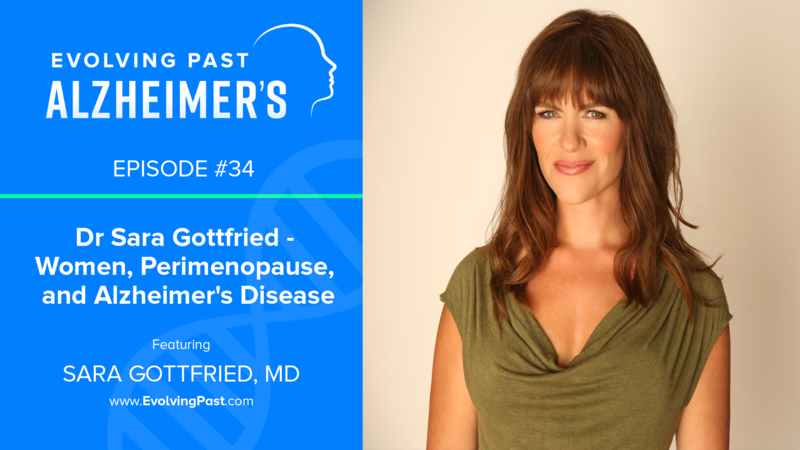 Drs Sara Gottfried and Nate Bergman discuss Perimenopause and Alzheimer's Disease and take a deep dive into bioidentical hormone therapy in women. 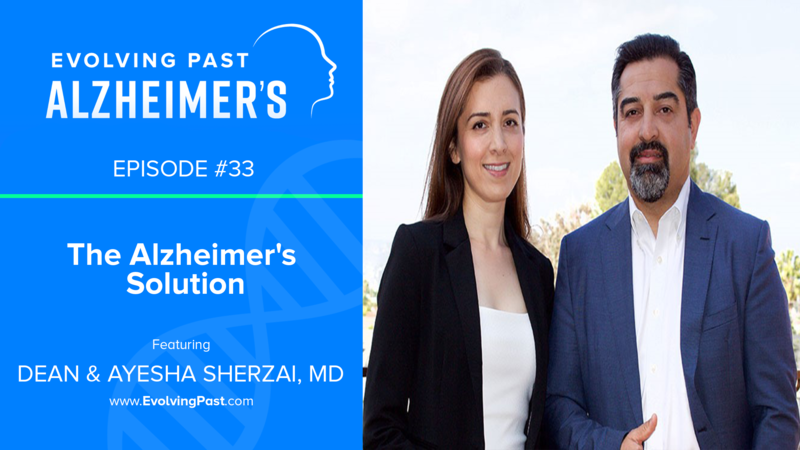 Dr. Ayesha and Dr. Dean Sherzai, through research and their extensive collective medical backgrounds, work to demystify the steps to achieving long-term brain health and the prevention of devastating diseases such as Alzheimer’s and dementia. Thanks for all the great work you're doing! Stay up on the latest and greatest Alzheimer’s and “mind altering” news. Subscribe to our mailing list. It is the intent of Evolving Past Enterprises LLC (“Sponsor”) to operate products through this Website consistent with general health promotion. Sponsor is not a healthcare practitioner or provider. To the extent that any information is provided through this website, it is for general informational purposes only and is not intended to constitute or substitute for (i) medical advice or counseling, (ii) the practice of medicine including but not limited to psychiatry, psychology, psychotherapy or the provision of health care diagnosis or treatment, or (iii) the creation of a physician-patient or clinical relationship. If you have or suspect that you have a medical problem, contact your health care provider promptly. Information and statements regarding diet and dietary supplements available on this Website have not been evaluated by the Food and Drug Administration and are not intended to diagnose, treat, cure, or prevent any disease. The opinions herein are of the Sponsor’s own and those of our guests and do not necessarily reflect the opinions of anyone else of or of any institution we may be associated with.